The first order of business on this post just plain has to be pronunciation. Foo-ree-kah-kay. My boys, however, prefer to call it furry khaki. Why? Well, I assume it has something to do with being very silly boys. Now that we’re all on the same page, let’s talk about what it is… Furikake is like the salt and pepper of Japan. It goes on bowls of rice, gets mixed into onigiri, sprinkled over noodles, on porridge and just about anything else that holds still long enough to get hit with it. This wanton flinging of furikake happens for an excellent reason; because it tastes great and delivers an instant explosion of umami to anything it tops. I find myself looking for more foods to cover with this distinctive seasoning that is briny and earthy with just a touch of seafood essence. If you’ve had it before, you know that there’s nothing to compare to the complete flavour added to dishes where this is present. I’ll be honest. I’m fixated on furikake. I love this so much that I almost always make more rice than we’ll need in a meal so I can form rice balls to sprinkle with furikake for late night snacks. Sometimes I just open the jar to sniff it a little bit. It’s a weakness. So what is it exactly? In it’s basic form -the form I’m giving you today- it is toasted sesame seeds, sea salt, nori, bonito flakes** and an optional pinch of sugar*. *Most commercially available furikakes contain added MSG and preservatives. 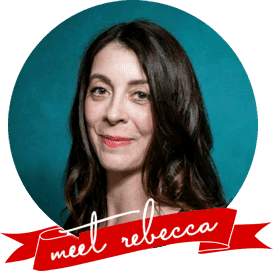 There are many, many versions of it sold, and just as many, if not more, versions of it made in homes but what I’m giving you today is a good basic leaping off point for adding that little special something to your meals or snacks. We start with raw sesame seeds here, but if all you can find is toasted sesame seeds, simply skip the toasting step and proceed from that point forward. Do make this, though. Just do. I can’t be the only one who obsesses over these things. I refuse to think that is possible. I need some company on my wacky little furikake island, people. Furikake: the salt and pepper of Japan. 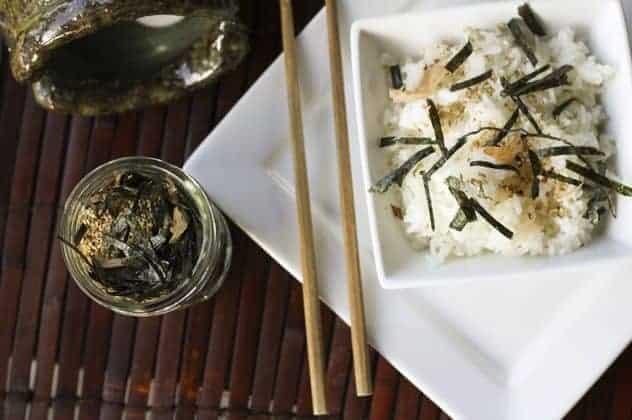 This crunchy, salty, nutty, earthy, briny topping that tastes slightly of seafood is a great all-purpose seasoning for rice, seafood, snacks, and more. Add the sugar (if using) and stir all ingredients together, then transfer to a jar with a tight fitting lid. Furikake. I might never stop saying that. I’ll join you on the island! oh my, my. oh hails yes. honey put on that party dress. 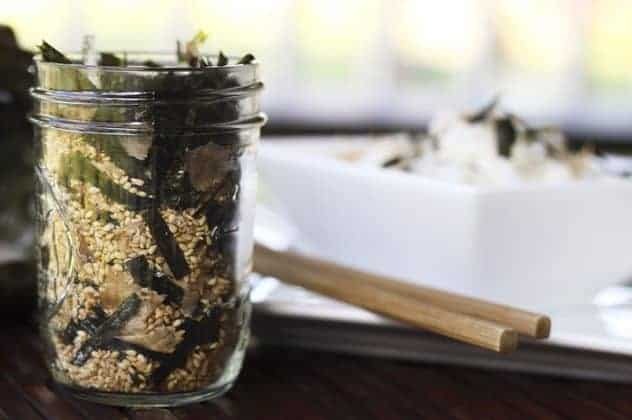 I LOVE furikake, so you’re not alone! I usually have a jar of it in my pantry. I really like it with dried shiso. Hmm… now I think I’m going to have to make some rice. Wow! I’ve never heard of this!! Looks fabulous!!! Oh yes there’s nothing better then Furikake on fresh Gohan except a cold spring water bath on a hot summer day in Japan drinking cold Sake and Asahi with a Clan of Yakuza friends in the remote city of Hiratsuka !!! Pamela- No. It’s not, but you can still have furikake. jkru- I know. It’s habit forming like that, isn’t it? Lonnie- Did you get some? Mrs. C- Thank you! I hope you get a chance to try it. You’ve made a believer out of me! I can’t wait to try this, but I’m going to use the Himalayan pink salt I got from Sustainable Sourcing https://secure.sustainablesourcing.com. The flavor is so much better than regular salt! The plane will be departing for The Island in just a few hours! Let’s go! Thank you, thank you, thank you for this post. The asian stores are far on the other side of town, and this stuff runs about $4 a bottle. Just about the right price for seasoning, but DH sprinkles it into his hand and eats it just like that. If our grown kids come for a visit and find anything that happened to have been left over, they immediately snarf the last of it. Now I can afford to have a large enough quantity that there’s a chance it will always be in the cabinet. When you factor in the “no msg or preservatives” part, it’s pretty darned perfect. 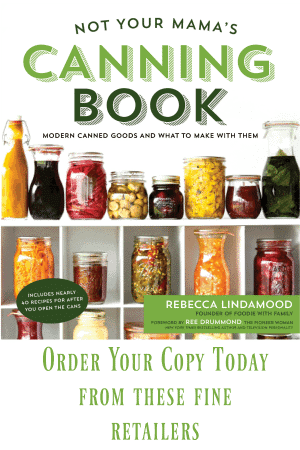 In fact, smaller jars may find their way into the Christmas stockings of those who will most appreciate them. Making Poke for my folks 50th Wedding Anniversary party…and this is my missing ingredient! It’s got to be much better homemade! Thanks so much for sharing your obsession with us food minions! I just made some I used dried shrimp I’m hooked! I am now hooked. Little bags of furikake at my Asian supermarket cost 5 Euros for about an ounce. You can buy enough ingredients to make two month’s supply for that amount. And I do. 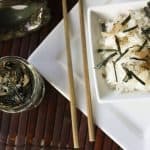 I heard about Furikake in a Murakami novel (Dance Dance Dance) and found your recipe. Thank you!! Bonito is not tuna, but is a related species to tuna and mackerel. Hi, i was just wondering since the sesame are toasted and they produce some sort of oil, how long would be the shelf life of the furikake? I’d probably say the limit was a couple or three weeks for optimal quality. You got me hooked on this stuff! Instead of buying the more expensive sheets, I buy regular nori seaweed which comes in “cakes”, and gently toast it a bit by passing it over the gas flame of my stove (far enough above that it doesn’t catch fire!) It only takes a second or two, it “shrinks” a bit and becomes fragrant. Then I break up the nori into the chopper box that came with my stick blender, add the other ingredients and pulse until the nori and bonito flakes break up a bit. It’s easier to sprinkle this way. Better solution than having a friend ship us some more! Thanks! Thank you for changing my life! I’m on Furikake Island! Delish!! 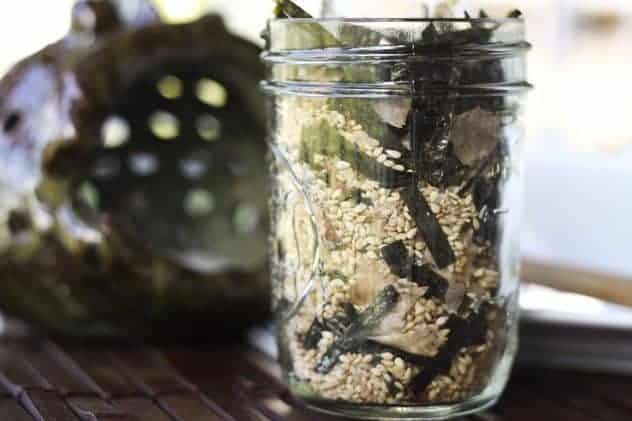 I used Herbamare instead of plain sea salt and used the dry container of my Vitamix for the nori and bonito. I want to thank you for sharing your recipe. I’m a Hapa (half Japanese) and grew up with putting furikake on everything . I never read the ingredients until recently because my granddaughter loves it so much. I found some ingredients that alarmed me. One in particular is derived from GMO corn so needless to say I tossed all but one flavor, the Umeboshi (dried plum) one. The Umeboshi furekaki only had 3 ingredients, all natural. I live in Bolivia and cannot find dried fish or shrimp. How can I do my own? Can you put the ingredients in a small spice blender? I think that would work, but I wouldn’t blitz it into oblivion. You still want some texture in the final product! Do you toast the nori before cutting it? Hi Agnes! If you buy toasted nori, there’s no need. If you buy untoasted nori, you can definitely toast it! Thank you for sharing this recipe. Buying it already made up is so expense ($9.99 for a small spice size jar 😳). I love the taste and add it to poke bowls. Can’t wait to make it up today. Thanks, Sherry! I hope you love it! This needs to go through a mortar and pestle. Thankfully, that’s pretty easily solved. 🙂 I actually prefer it a little on the piecier side! Thank you so much for this recipe. I decided I was going to go broke buying this seasoning in the store. I could eat half a jar in one sitting. So I did a search and found your recipe. I think I’d like to figure out how to get some wasabi or something hot in it as well. Thanks again!